Pindari Glacier located in the Bageshwar district within the state of Uttarakhand in India, to the southeast of Nanda Devi, Nanda Kot. The glacier offering a great view of the Kumaon division of the southeast himalayan mountains, spread over an area of 3.2 km. The glacier melts into water at an altitude of 3660 meters and flows to the south, gives rise to the Pindari River and finally merges into river Alaknanda at Karnaprayag in the Garhwal district. 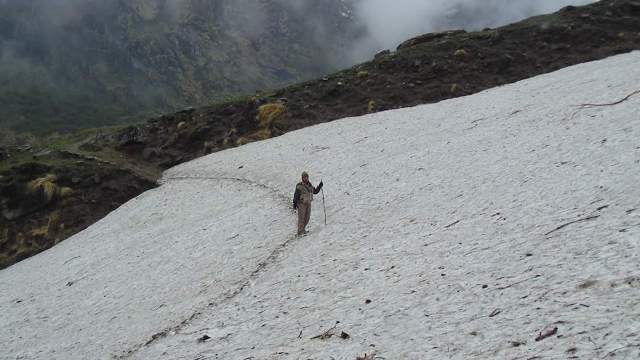 Pindari glacier trek is hidden treasure the most impressive ranges of Kumaon division. This trek provides a unique and close-up insight into villages in this beautiful area of the himalayas. You climb to through beautiful, pristine forest,with stunning view of the mountains. Up on the top of Zero point, you can see the himalayas stretching as far as the eye can see, with the close up view of Mt Nanda devi, Nanda Kot pinnacle standing in front of you. Reporting at Kathgodam Railway Station at around 06:30 AM (Your expected to reach at Kathgodam on previous night). We all will meet up there & proceed to Kharkiya which is around 200 kms but 8-9 hour drive. (We will hire a cab at Kathgodam to drive to Kharkiya & the costing will be shared among all the participants). Reach Kharkiya, Introduction, Briefing & Overnight stay at Homestay. Kharkiya to Khati trek distance is only 5 kms but trekking route is more interesting. The trail has mix of rhododendrons trees that are actually part of the trail and there is Oak trees that you walk through on the trail. Same trail is connecting to Pindari valley. Khati is the last inhabited village on the way to pindari glacier. Overnight stay at Homestay/Tents. Today after breakfast we will start our next journey to Dwali camp.Trek is a bit tiring but awesome as you get to breath fresh air and can see the Pindar river flowing right next to the trail and mountains at the other side of the river. Clear blue skies and a view of the pindar valley and green covered hills add to the atmosphere. Overnight stay in tents. Today we will be walking short distance uphill path, this trail blooms with many water streams.The initial part of the trek would be through the water streams and through the rocks. A gradual ascent that offers excellent views of the snow-covered mountains. If the weather is clear you can see Mt. Nanda Khat and Nanda Devi East pinnacle standing in front of you. Overnight stay in tents. 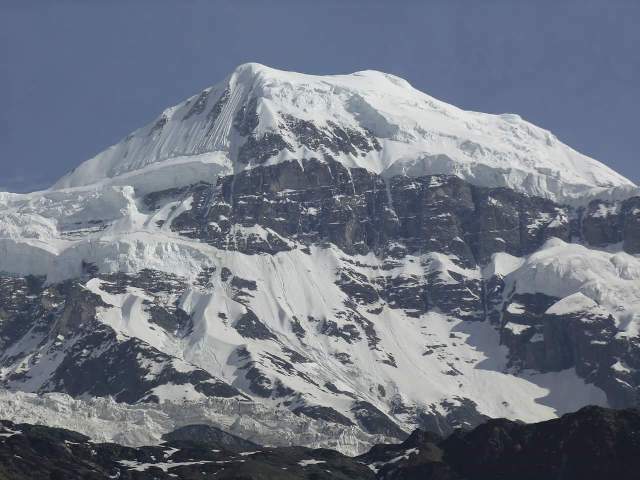 Day 05:Phurkyia to Pindari Glacier ( zero point )- Phurkiya - Dwali (3900 Mts/12800 Ft)(20 kms trek) . Woke up early in the morning and we continue our trek to Zero Point (pindari glacier). This trail also has some beautiful water streams along with the icy-cold water. Start early in the morning so that you can use all the time you wish to rest awhile, gaze and listen to the mountains. Watch pindar river make her way without stopping on your left side.After reaching the zero point you will realize that all the pain was worth taking to be where you are ! start trekking back to Dwali . Overnight stay in tent. After doing this memorable trek it is time to head back towards Khati village.You will not fail to notice the bareness of the mountains here and the greenery on the other side. We retrace the same trail back to khati village. Overnight stay at Homestay/Tents. Morning after breakfast the last stretch of the last day does become an endurance test but soon the stone paved village track comes up and in no time you enter the small road of kharkiya Village. From kharkiya village we will be taking pr-arrange jeep ride till our campsite. Overnight stay at homestay. - Travel from Delhi to Kathgodam. Click this link to know the List of things to carry, Do's & Dont's, Fitness required. There are two options to reach Kathgodam railway station from Delhi. 1)From Delhi railway station you can take the Ranikhet Express (5014) Departs from Delhi around 10:40PM and arrives Kathgodam at 5:30AM. 2)From Delhi station you can take Uttar sampark kranti (5035) Departs from Delhi around 4:00pm and arrives Kathgodam at 10:40pm.